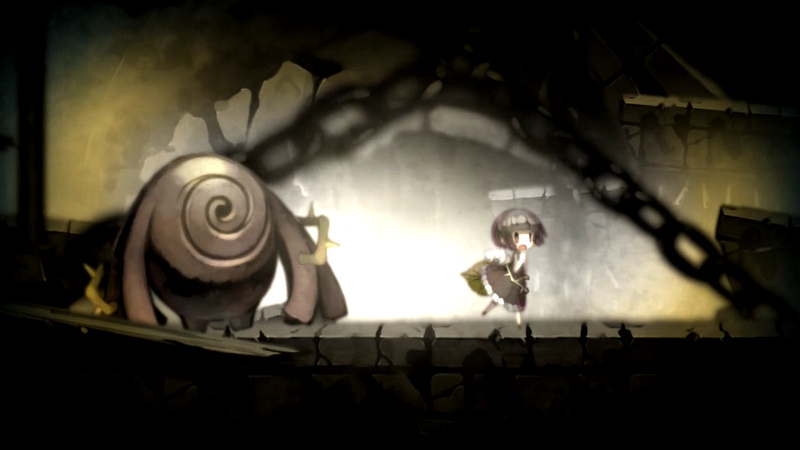 Developed by Nippon Ichi Software, A Rose in the Twilight is a puzzle platformer, with a tinge of horror added to the mix. 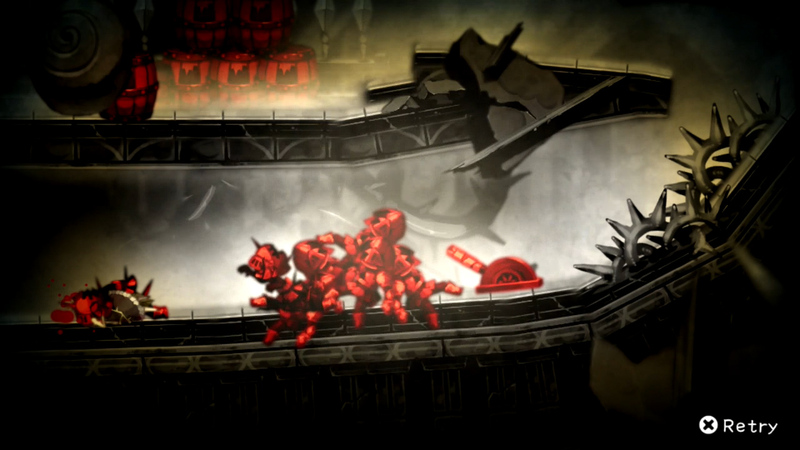 With such a dark atmosphere involving the use of blood and death, can it stand among some of the best Vita games? Let’s find out! Rose doesn’t get along too well with the Golem at first. The story stars a young girl in the castle named Rose, who wakes up to find that she is cursed with an ever-growing rose on her body. This curse grants her the power to manipulate blood in objects, making them stuck in time and unable to move. She eventually meets a Golem who saves her, and together, they work to escape the castle. The story itself has little to no dialogue, with most dialogue left in notes you can find throughout the game. Unlike in Final Fantasy XIII, reading those never felt too intrusive, and the game is mostly understandable anyway without reading them. The expressions of the characters helps sell the story a lot, like seeing Rose happy or fearful of the Golem in certain moments of the story. Moments like these made me really glad I played this game. The story is also expanded on through blood found on the ground, usually left behind by nearby corpses. These contain blood memories, where the story is told more through expressions and actions, and show either how that particular person died, or the relationship they shared with Rose, and how this curse started to spread. I do like these too, but I hated how getting them was mandatory to complete the game, considering how hard they were to get to. I’ll cover my feelings more on this later in the review. 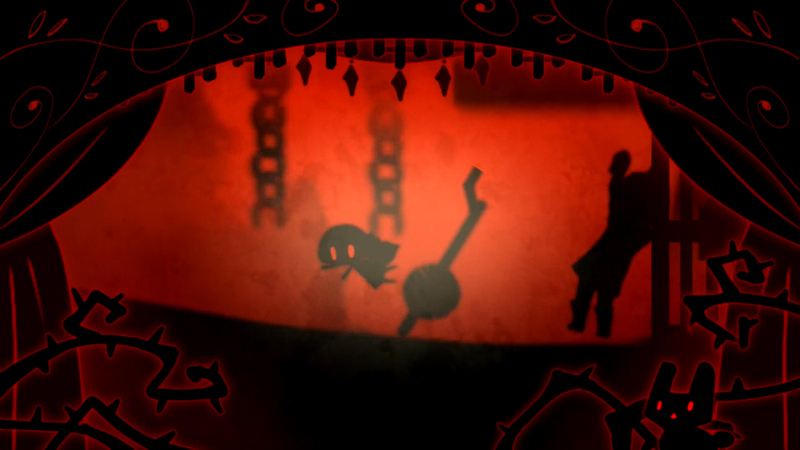 The story also reveals that, in certain sections, Rose must kill herself through the use of certain machines and objects in order to unlock the door and proceed. That sounds confusing until you realize one more thing: Rose will come back from the dead via a checkpoint. Naturally though, this is still terrifying as she has to live with all of that pain on top of this curse. It was an uneasy sight, and kept making me feel bad for failing any puzzles, or even progressing, knowing that I’d have to see her die again. But it also helps show her courage in the face of this nightmare of a situation. I am legitimately surprised the game skirts by with a T rating. That said, the presentation is pretty damn good for a game like this. The dark atmosphere combined with some of the music creates a haunting atmosphere, one you must always be cautious of. Yet that’s not to say the game is filled with gloom and doom. 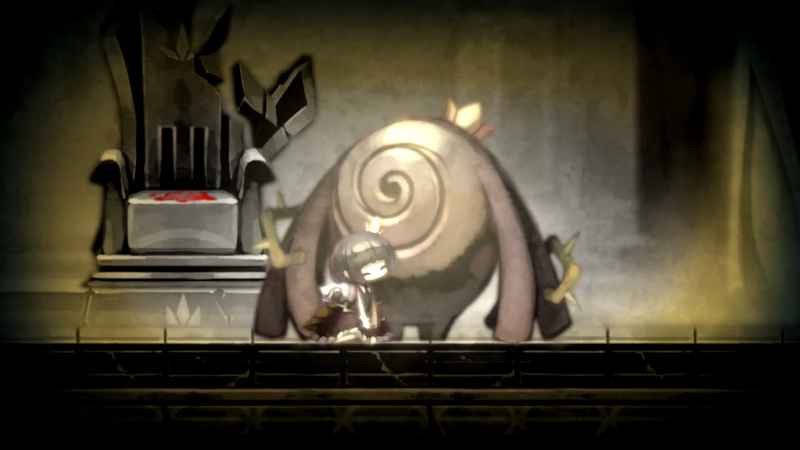 In fact, the Golem and Rose’s designs differ from some of the monsters, looking more cute than matching the level of detail the monsters possess. They contrast each other well. Rose’s death animations do an effective job of making me feel sorry for her every time she dies, but she also has happy moments as well, such as bonding with the Golem that I found very sweet amidst all the death and violence. The music isn’t too memorable, though. I also do not like this foggy effect in the center of the screen. I did get used to it, but it’s annoying. Sound effects are also spot on too, particularly that crunch when a monster devours Rose’s head. It does make me wonder though that if Rose keeps coming back from the dead, does that mean her head will vanish from the monster’s stomach? Every puzzle requires that you and the Golem must leave together, so neither one can just be left behind. The Golem is practically invincible, unless it falls into a pit or the mouth of a monster plant. 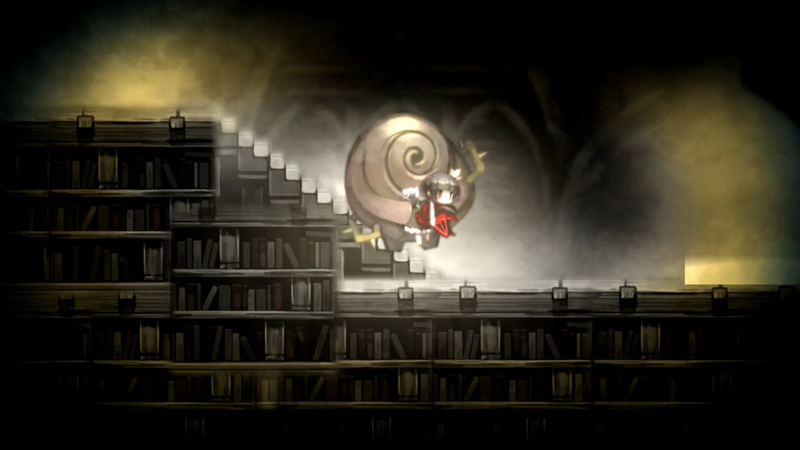 Outside of that, monsters cannot harm it, and the Golem can easily pass through areas of thorns, or throw enemies and objects a fair distance. Rose on the other hand is quite fragile, vulnerable to dying in a number of ways, which includes falling damage, or even lightly brushing against some thorns. However, she is the only one who can absorb blood from objects, making them immovable even to the Golem, and can even leave them suspended in the air. 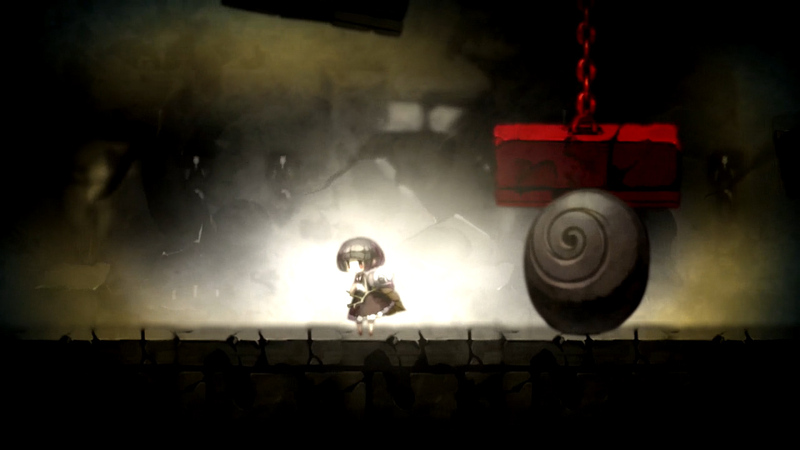 There are a variety of ways to use this to solve puzzles, such as using objects as a platform, stopping a weight machine so both you and the Golem can pass through the gate easily, paint a picture, etc. Time also slows down when absorbing or transferring blood, which helps in trying to get your timing down. There are moments however when death was almost inescapable, as a random object could hit Rose on the head and kill her in some places. Thankfully, you can use the right stick to move the camera and see what other sections contain. The Golem cannot even be crushed, making him perfect to use as a shield. There was only one section that deviated from this, where Rose finds a water pail that, instead of water, uses blood to lure enemies or make plants grow. This did disable her other ability however. But it lent itself to more creative and difficult puzzles. Regardless, a lot of these puzzles can be difficult and require good timing in order to complete. Yet it’s not just the puzzles you need to solve. Those blood memories I mentioned before are also needed in order to gain access to different sections. 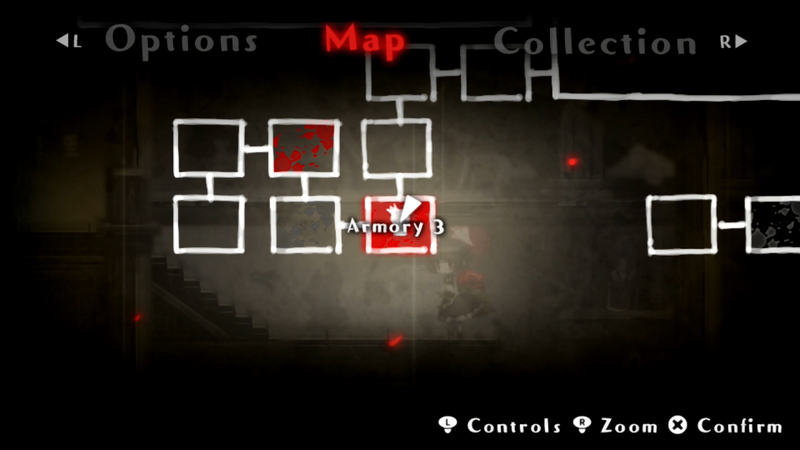 Fortunately, the map does allow you to go back to a previous stage once that section is completed, so if you get too frustrated trying to get that one particular blood memory, you can come back to it later. And once you gain a certain item after getting the second ending, you can also unlock the ability to speed-run each section too. This is mostly for bragging rights. If there is a red blood splatter in a frame, that is where you can find the blood memory. Unfortunately, the gameplay also has a few problems. 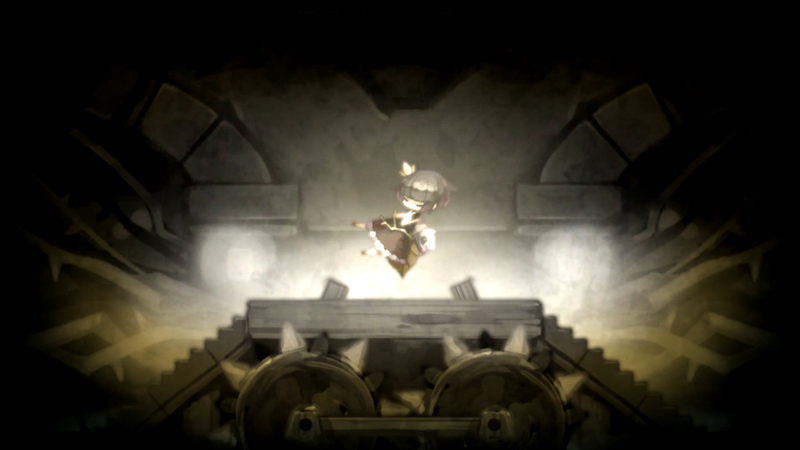 For starters, it’s very easy to get stuck in some puzzles, and die as well due to how fragile Rose is. The way to solve puzzles later are also very unorthodox, and go beyond simply thinking outside the box. Let me explain: a good puzzle is usually hard, but when you are done, you can realize how easy it was to solve, and appreciate the design. A bad puzzle is not being convinced that you even solved it, or if it just doesn’t make any sense. 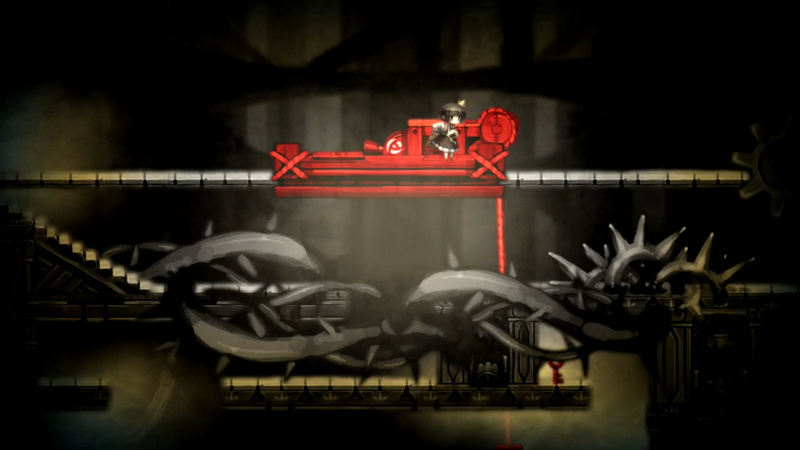 For example, there is one puzzle where you have to guide a hook through some platforms in order to get a key. I’ll post a picture below, so look at the way at the puzzle looks. There is no logic in how this thing moves, as it should be getting stuck! Fortunately, not all of the puzzles were like this. Boss fights, which I cannot reveal much information on due to massive spoilers, also require memorization because of how fast the enemy can be, and will likely result in many deaths. How is this thing not caught on the thorns or when moving the machine? This thing raises more questions than any story element in this game! The most infuriating thing though was after getting the second ending for beating the first boss. Remember how I said those spots of blood with memories were very important and needed in order to get the final ending? There was one hidden behind a locked door that could only be opened through the use of a helmet. I only found this out after I beat the game, and when I tried to retake the helmet from the spot, I could not find it at all. Without any way to find it, I couldn’t get the final ending, which left me to start the game all over again since there’s only one save slot in the game. I should also note that the game never told me about this, and I had to find out from other sources. There was another one that required precise timing by using the slowdown from Rose’s blood absorption while exiting a barrel on top of another barrel, and at the bottom were thorns that could kill you. As far as I know, there was no other way to get that blood memory, and it was another annoyance. This game made me become the boy who cried helmet. Now I know how Hyde felt on that one episode of That 70s Show. 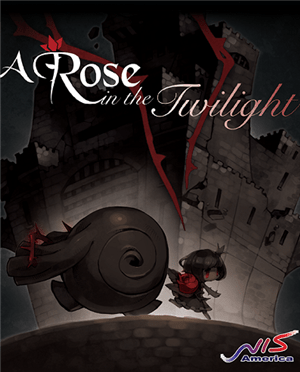 Overall, A Rose in the Twilight is not a bad game, but it needed more time to try and refine the gameplay elements. At the price of $19.99, there are worse things you can buy. But I can only recommend this to some of the most patient people possible. Otherwise, you might end up making the same mistake I did with the helmet, and proceed to rage out. You can probably spend about nearly 10 hours on this title, less if you can quickly solve the puzzles. That being said, I still enjoyed myself here much more than in Ninja Usagimaru.